Proposal No 16 from the Chancellor of Justice concerning sufficient availability of education in Estonian found support with 44 votes in favour (20 against). 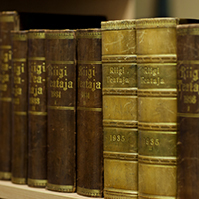 The proposal of the Chancellor of Justice Indrek Teder drew the attention of the Riigikogu to the fact that it was not constitutional to provide education in a language other than Estonian in a private secondary school under public authority, if it has not been verified previously that everyone’s right to receive Estonian language education is ensured while providing foreign language education. 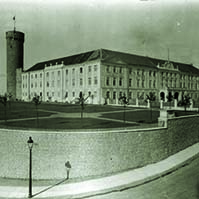 Teder referred to the plan of Tallinn and Narva City Councils to transfer some municipal schools under private law, which in his opinion would allow them to ignore the decision of the government and the intentions of the legislator and, as a result, to offer local population secondary education in a freely chosen language and to teach Estonian as a foreign language only. Teder remarked that the restriction on providing education in another language in a private school under public authority is not an obstacle to someone’s personal choice to receive education in another language: in a private school not under public authority, education in a foreign language is guaranteed under the second sentence of subsection 37(4) of the Constitution, which states that the language of instruction in national minority educational institutions is chosen by the educational institution. Local governments can also support private schools. This is obviously allowed on the condition that all private schools are supported in equal terms. Teder found subsection 15(1) of the Private Schools Act to be unconstitutional insofar as it allows education to be provided in a private school under public authority in a language other than Estonian without verifying whether the state has guaranteed everyone’s right to receive education in Estonian while receiving education in another language. The proposal of the Chancellor of Justice was supported by the Chairman of the Constitutional Committee Rait Maruste as well as the Chairman of the Cultural Affairs Committee Urmas Klaas, who presented the positions of the Committees. Liisa-Ly Pakosta, Jaak Allik, Mihhail Stalnuhhin, Jevgeni Ossinovski, Urmas Klaas, Yana Toom and Mailis Reps took the floor during the debate. The Cultural Affairs Committee was given the task of initiating amendments to the Act. Proposal No 17 from the Chancellor of Justice concerning the absolute requirement to stay permanently in Estonia upon application for citizenship found support with 56 votes in favour. 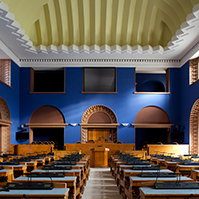 The Chancellor of Justice remarked in his proposal that the regulation of the Citizenship Act is not in conformity with the Constitution insofar as it does not allow the time spent away from Estonia on work duties to be counted within the period of permanent stay in Estonia required when applying for a citizenship, and proposed that the conditions for applying for citizenship be brought into conformity with the Constitution. 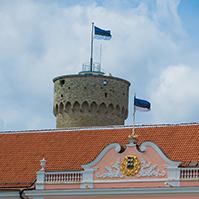 The Chancellor of Justice gave examples of cases where a person had lived in Estonia permanently for decades, had passed the Estonian language, Constitution and citizenship exams but had been stalled by the requirement to stay permanently in Estonia on account of being a sailor and thus not living on the territory of any country in the sense of the Citizenship Act while performing their professional duties. 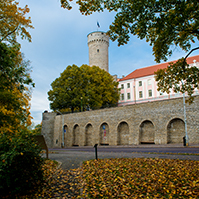 Article 11 of the Citizenship Act stipulates that permanent stay in Estonia is legal stay in Estonia for at least 183 days per year, provided that absence from Estonia does not exceed 90 consecutive days per year. 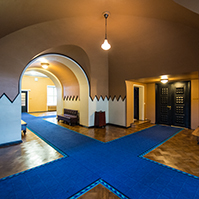 Teder values the emphasis put in the preamble of the Constitution on the duty of the Estonian state to guarantee the preservation of the Estonian nation, language and culture through the ages, an objective that our citizenship policy must certainly support. At the same time, citizenship policy must not deny citizenship to people who have to all intents and purposes already integrated in the Estonian society, or make the conditions for acquiring citizenship excessively difficult, thus forcing the applicant to drastically change their way of life, in this case their free choice of employment. The Chairman of the Constitutional Committee Rait Maruste presented the supportive position of the Committee on this proposal as well.